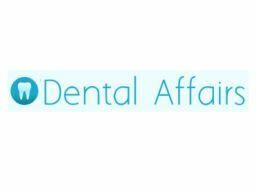 Dental Affairs - Dental Affairs in an informational blog on dental care and dentists. Dental Affairs in an informational blog on dental care and dentists. Various blog posts entailing personal dental care and the importance of visiting the dentist can be read on the blog. The blog creates awareness regarding improper dental care and the side effects that can harm other parts of the body. The importance of pediatric dentistry for your children is also blogged about because effective dental care should be practiced from the beginning. An interesting article about the Holistic Dentists is posted which explains their duties how any patient can benefit from them in many ways. Information explaining how crucial and vital it is to selectively choose the right dentist is available in the blog where one can know what to look for in a dentist. A good mention on prevention of cavities is posted and a blog listing out the importance of a dental plan and its benefits is a good read too. Oral care tips are provided so that there is always a smile on one’s face. To know more about personal dental care and regular visits to the dentist, visit http://dentalaffairs.net/ and http://dentalaffairs.net/category/dental-care/.